Sewer pipe troubles are frustrating, inconvenient and expensive. You may not even think of these critical pipes until something goes wrong with them. But the fact is you, as a homeowner, have a vested interest in the life expectancy of your sewer pipes and repair issues. They are made from a range of materials, depending on when they were installed. Here is an overview of what they do, the materials they are made from and the lifespan of your sewer pipes. Why Care About Sewer Pipes? Sewer pipes are an essential part of the system that protects water quality and the public’s health in your area. They transport sewage from your home and take it to wastewater treatment plants. There it is cleaned and delivered back to the environment. Your home has its own sewer pipe that is connected to the municipal system in front of your home. All of these pipes are laid underground, out of sight. Clogs can happen in the main sewer pipe going into your home or in one of the many secondary lines that connect to it. If your sewer pipe becomes clogged or damaged, it has to be repaired. Conventional methods require digging several trenches throughout the yard. 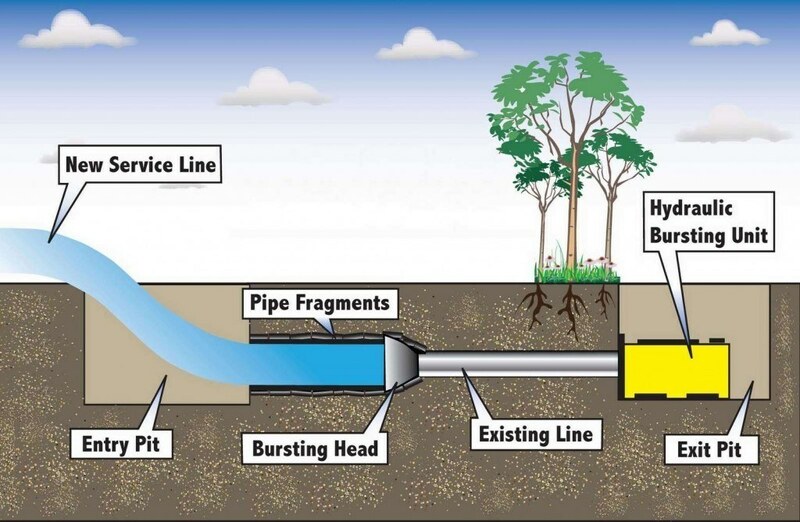 A newer method, called trenchless sewer repair, uses just one or two holes to fix the problem. In the 1800s, sewer pipes made from cast iron were the most common. In the early part of the 1900s most sewer lines were made from clay pipe. This was used through most of the 1920s. Starting in the late 1920s, it became common to use concrete pipe, which remained the choice through the 1950s. In the late 1950s and into the 1970s, cast iron and transite, an asbestos-cement combination material, was used. In the late 1950s, orangeburg pipe, also called fiber conduit, was also used. This was made from pitch and wood pulp layered together. In the late 1970s and still used today is plastic PVC or ABS pipe. Cast iron pipes last from 75 to 100 years or longer. Clay pipes last anywhere from five decades to over a century. Cement also has a 100-year life expectancy. Orangeburg lasts about 50 years. PVC and ABS pipes last over 100 years. Does this mean these pipes always last this long? No. In ideal conditions, if the pipe was laid professionally and on even ground, this is the best estimate that experts can make for each material. How Can You Tell If Your Sewer Line Has a Problem? When a clog closes off your sewer pipe, big trouble is the result. Raw sewage can back up into the home system. An informed homeowner can keep an eye out for indicators that there is something wrong with the sewer line. Strange odor in your yard: this can be a sign that the line is cracked and leaking, sending sewer debris into your yard. Your sewer line is the most essential pipe in your home. Look for signs of trouble so it can be repaired quickly. Previous How Helpful Actually Is Construction Inventory Purchasing Management Software? Next How Trenchless Pipe Lining Can Prevent Root Problems in Oklahoma City, OK?